The call comes after a breakthrough was made in the United States in the treatment of Angelman Syndrome, a neuro-genetic disorder. Scientists have succeeded in carrying out successful tests on an adult mouse with the condition. This result – which has been called a “gamechanger” – suggests that treatment for humans is also possible. 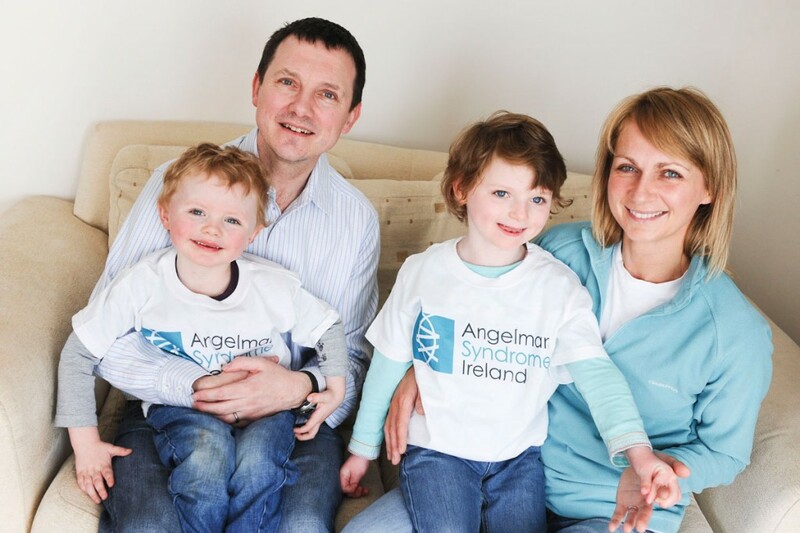 Vincent and Anne Gribbin’s five-year-old daughter, Aoife, has Angelman Syndrome. Next month the Blacks Road couple will be holding a fundraising night in the Kings Head with the money raised going to the charity Angelman Syndrome Ireland for treatment for the disorder here. “Over the last few years there have been a few different breakthroughs in Angelman Syndrome,” said Vincent. “One of the worrying aspects of Angelmans is seizure activity which is quite complex. Sometimes the seizures can be so bad that they are life-threatening. “There is a big issue about being able to talk as most children never talk and if they do they only have about ten to 12 words but if they then learn a new word one of the words that they already have drops off. “Aoife, who is six on Saturday, still can’t walk but is coming on and hopefully over the next number of months will be able to walk, albeit aided, but she’ll be able to get up and about. Vincent said trials on people with the disorder are about to start in the US. If that proves successful then Ireland is next. Anne, who is also running the Belfast Marathon next week as part of the fundraising drive, said: “Because there are so few people with Angelman Syndrome it is difficult to get funding and it is really up to the families themselves to raise money for the treatment. Vincent and Anne are hopeful that the new treatment will benefit Aoife, but at this early stage they don’t want to get their hopes up. The fundraising drive that the family are currently embarking on is to help set up the structures in Ireland for when the drug does become available. “That’s why we want to invite as many people as possible to the fundraiser in the Kings Head on May 25,” said Anne. “I also want to thank my neighbours on the Blacks Road whose doors I’ve knocked and who have agreed to sponsor me in the marathon. n A quiz and eighties disco will take place in the Kings Head on Friday, May 25, doors open at 8pm, entrance £5. You can sponsor Anne for the marathon at www.idonate.ie – go to the Find A Fundraiser box on the home page and key in Anne Gribbin.